So I shot a scene with my camera, and imported it into blender's video editor. 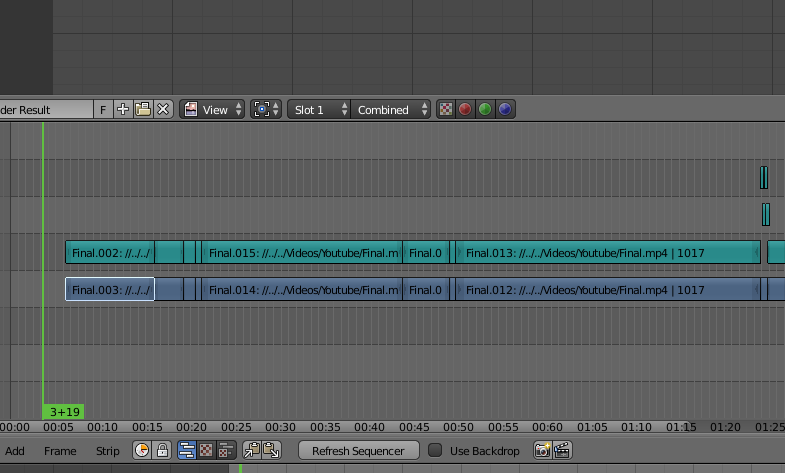 I then proceeded to splice the video and audio in at least a dozen places. When I try to render my finished video, I go the error 'The encoder timebase is not set' I'm not sure how ti fix this. I've been looking around all day and haven't found a viable solution. This page suggests changing the FPS up, and then back to what it was to reset it, but when I change it, the audio gets all screwed up with the audio segments running over each other (as seen below). Browse other questions tagged rendering video-sequence-editor video frame-rate or ask your own question.